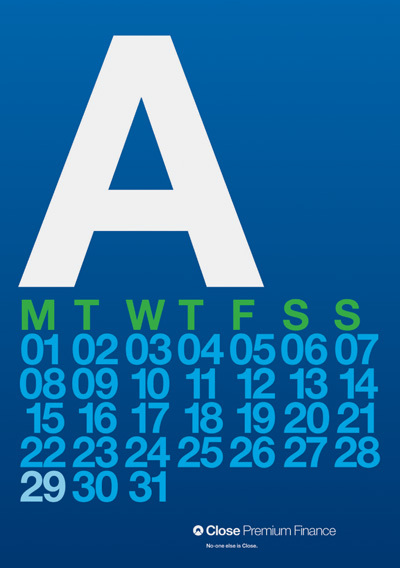 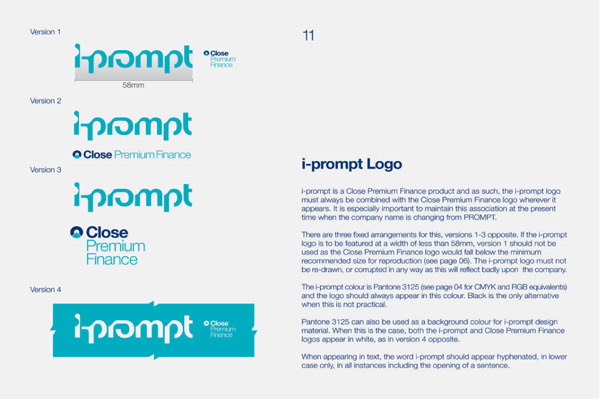 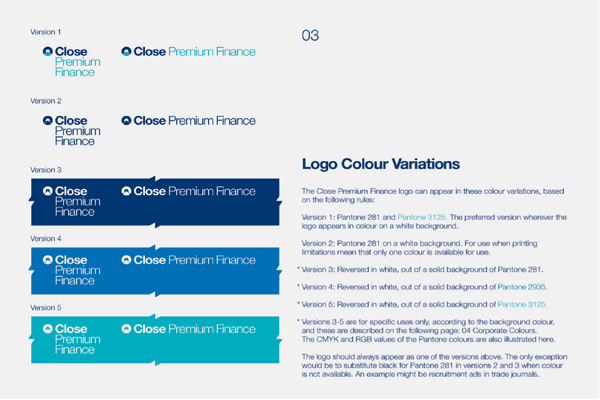 Close Premium Finance provides finance for the insurance industry. 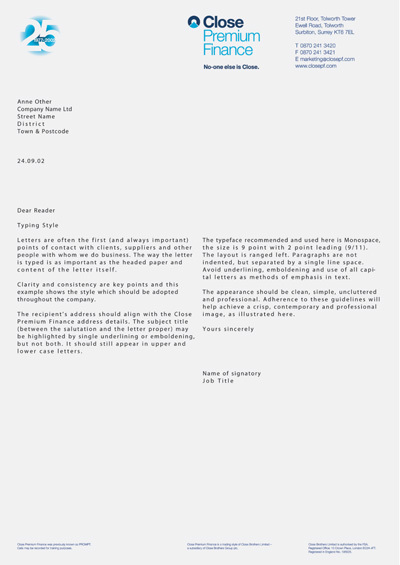 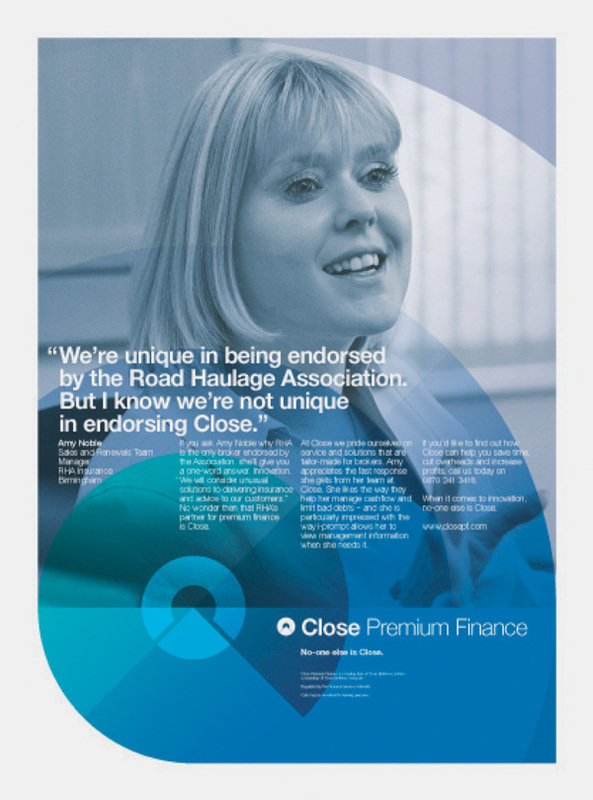 Intro overhauled the entire brand, generated a new company name and corporate identity as well as a major profile building exercise comprising of press advertising, direct mail campaigns and a new website. 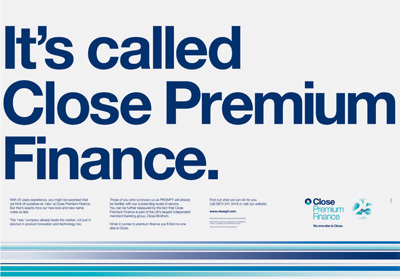 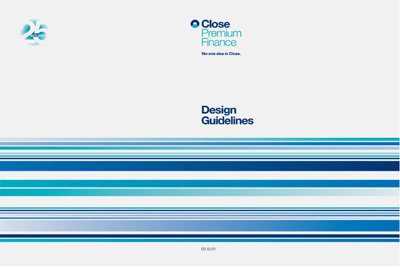 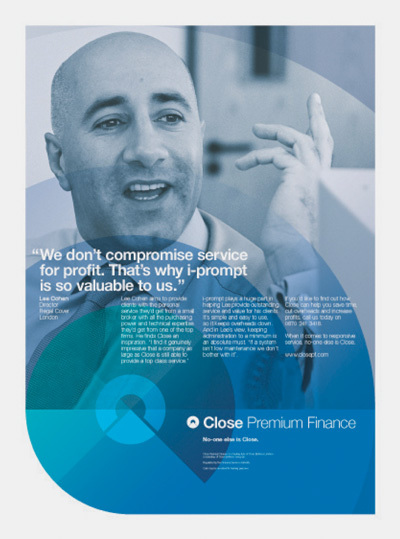 // Our work for Close won a major financial sector award for Best Campaign at the ‘Insurance Times’ Awards.